Applied To Work At The Dow Chemical Company or Dow Corning Corporation, But Didn’t Get The Job Because Of A Background Check? Nowadays your information is everywhere. Not surprisingly, employers increasingly conduct background checks on job applicants. Background reports include a wealth of information about your life, including criminal convictions, arrests, bankruptcies, debts, employers, and credit scores. Employers frequently use this information when making hiring decisions. What many job applicants don’t know is that your background report may contain totally inaccurate information. In fact, it is not uncommon for a background report to erroneously include information—even criminal offenses—about a different person. In other cases a background report may contain old criminal convictions or arrests that should play no role in an employer’s hiring decision. State and federal laws strictly regulate what information may be reported and whether an employer may consider it when reviewing your application. Federal law requires employers to provide all job applicants with a clear disclosure in writing of their intent to obtain a background report. Employers have to get your authorization before they obtain a background report. Employers must also give you notice of their intent not to hire you because of information contained in your background report. You are entitled to see a copy of your background report before your application is denied. Dow is a leading manufacturer of chemical, plastic, and agricultural products. Its sizeable workforce exceeds 50,000 employees worldwide. As part of the application process, Dow runs background checks on job applicants. But the company has recently come under scrutiny for its faulty background check procedures. An investigation by class action attorneys reveals that Dow uses confusing and illegal forms before obtaining applicants’ background reports. Investigators also believe that Dow denies employment applications without showing applicants copies of their background reports. If you applied to work at Dow, you may be entitled to compensation—whether or not you were eventually hired. Federal law imposes mandatory monetary damages of up to $1,000 on businesses that fail to comply with their legal obligations. 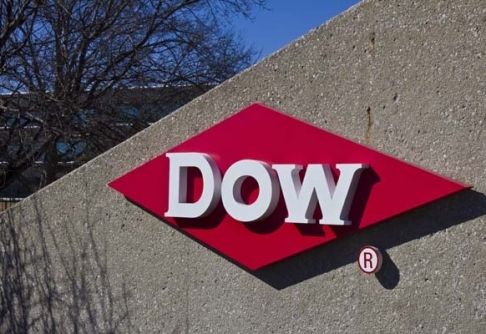 Class action lawyers are investigating Dow’s hiring practices. If you’ve applied at Dow or have relevant information, we’d like to hear from you.